What Is The Violet Flame and How Can It Help You? Have you heard about the Violet Flame? This is a frequency of energy, vibration, and consciousness that is flowing into the mental and emotional strata of Earth through the all-encompassing Divine Matrix of our Father-Mother God. This Gift of Sacred Fire is flowing in, through, and around every particle of Life on Earth and it has the amazing ability to transmute into Light the negativity that is being pushed to the surface in our individual lives and in the lives of people who are suffering all over the world. The catch is, that in order for this powerful Gift of Light to accomplish this mission the Sons and Daughters of God abiding on Earth must give it permission to do so. We have the gift of free will, and through the misuse of our thoughts, words, actions, feelings, and beliefs we have either deliberately or inadvertently created the maladies existing on Earth. This means that you and I and every other person on Earth are responsible for transmuting the pain and suffering we have created throughout our various Earthly sojourns. The Universal Law is, “The Call for assistance must come from the realm where the assistance is needed.” Our God Parents and the Company of Heaven cannot just wave a wand and transmute our human miscreations back into Light. However, if the Sons and Daughters of God abiding on Earth invoke the Violet Flame and ask that Sacred Fire to transmute into Light every thought, word, action, feeling, or belief we have ever expressed, in any time frame or dimension that has contributed to the pain and suffering on Earth, the Floodgates of Heaven will open in response to our heartfelt pleas. The Beings of Light in the Realms of Illumined Truth have revealed that in this year of 2012, through the unified efforts of awakening Humanity and the Company of Heaven, we have reached a critical mass of collective consciousness that is allowing the Earth to receive higher and infinitely more powerful frequencies of the Violet Flame than we have ever been able to withstand. This Sacred Fire is known in the Realms of Cause as the 5th-Dimensional Solar Violet Flame of God’s Infinite Perfection. The Company of Heaven said this frequency of the Violet Flame has the ability to transmute lifetimes worth of our misqualified energy in “the twinkling of an eye.” That is wonderful, because we are in the midst of the greatest purging and cleansing process the world has ever known. As Humanity awakens and the Light of God increases on Earth, everything that conflicts with God’s Light is being pushed to the surface to be healed and transmuted back into Light. Even the inclement weather conditions are a reflection of Humanity’s consciousness and are designed by the Elemental Kingdom to purge the body of Mother Earth of the atrocities Humanity has inflicted upon her through ignorance, greed, and the appalling abuse of power. I know it sounds too good to be true that there is actually a Gift of Sacred Fire flowing from the Heart of our Father-Mother God that will transmute the pain and suffering on Earth “in the twinkling of an eye,” but it is true. Fortunately, in order to benefit from the Violet Flame you do not have to fully comprehend or even accept that the Violet Flame is real. All you have to do is think of it as a possibility, then ask your I AM Presence to utilize the 5th-Dimensional Solar Violet Flame of God’s Infinite Perfection to transmute everything that is causing pain and suffering in your life, in the lives of Humanity, or in the experience of any other facet of Life on Earth. The Violet Flame is scientific to the letter, and it will respond instantly to the invocation of every person’s I AM Presence. This is true regardless of whether or not you fully accept the reality of the Violet Flame through your lower human consciousness. I promise you that by invoking this new frequency of the Violet Flame through your I AM Presence on a daily basis, you will transform your life into what you want it to be. In Truth, you have everything to gain and nothing to lose by experimenting with this Gift of Light from our Father-Mother God. I would like to share with you what the Company of Heaven has revealed to us about this new frequency of the Violet Flame. Hopefully, this will help you comprehend the magnitude of this opportunity and what this frequency of the Violet Flame can do to help you heal the painful things that are surfacing in your life. The NEW 5th-Dimensional Solar Violet Flame will quickly transmute the human miscreations that are causing the pain and suffering on Earth. It will also pave the way for the tangible manifestation of the patterns of perfection for our new Planetary Cause of Divine Love and our newly birthed Renaissance of Divine Love. The Violet Flame is the most powerful frequency of Transmutation available to Humanity and Mother Earth at this time. This Sacred Fire is the perfect balance of the Outbreath of our Father God, the sapphire blue Flame of Divine Will, Power, and Authority, and the Inbreath of our Mother God, the Holy Spirit, which reflects the crystalline pink Flame of Transfiguring Divine Love, Adoration, and Reverence for Life. When the Outbreath and the Inbreath of our God Parents merge into one rhythmic pulsation, a Violet Flame of unfathomable power and might is birthed into existence. The Ascended Master Saint Germain has been instrumental in bringing the knowledge of the Violet Flame to the conscious minds of Humanity. In the Heavenly Realms, he is known as the Son of Freedom, and he has volunteered to sustain the Violet Flame on Earth for the benefit of all Life evolving here. In his exalted service in the Heart of our omniscient, omnipresent, omnipotent Father-Mother God—The Cosmic I AM­­—All That Is—he is the Keeper of the Violet Flame. In this octave of Divine Service, Saint Germain sustains this gift from our Father-Mother God for all of the Sons and Daughters of God throughout the Universe. During this critical time on Planet Earth, Saint Germain is working with the support of the entire Company of Heaven. Every Adept, Avatar, Buddha, Saint, and Christed Being that has ever walked the Earth is helping Saint Germain in his endeavor to assist Mother Earth and all Life evolving upon her to Ascend into the 5th-Dimensional frequencies of infinite physical perfection. In addition to that Divine Intervention, the Legions of Light from Suns beyond Suns and Galaxies beyond Galaxies throughout the whole of Creation are focusing their Love and assistance on this blessed planet. Never have the Children of God received as much help from On High as we are receiving during this Cosmic Moment. In 1936, Saint Germain began revealing information about the Violet Flame to awakening Humanity. At that time, even the Lightworkers were able to withstand only the most gentle frequencies of this Sacred Fire. Saint Germain started by teaching Lightworkers how to use the Violet Flame’s gentle qualities of mercy, compassion, and forgiveness. As time progressed, Lightworkers learned to use the frequencies of transmutation and purification. Eventually the Violet Flame frequencies of justice, liberty, freedom, opportunity, and victory became known to us. As we developed the ability to withstand greater Light, we learned how to use the rhythm and Divine Ceremony of the Violet Flame. The more proficient Lightworkers became in utilizing the gifts of the Violet Flame, the more Saint Germain and the Beings of Light associated with this Sacred Fire were able to help the masses of Humanity lift above our humanly created effluvia. This effluvia was the shroud of darkness that disconnected us from our I AM Presence and prevented us from communicating with the Beings of Light in the Realms of Illumined Truth. For over seven decades Lightworkers around the world have been invoking the Violet Flame, slowly and steadily clearing the way for the awakening that is now taking place within the hearts and minds of people everywhere. Due to the incredible changes that have successfully taken place within Humanity’s Earthly bodies over the past several years, we are now capable of assimilating higher frequencies of the Violet Flame than ever before. During the month of May this year, 2012, Saint Germain in unison with the Legions of Light throughout Infinity who are associated with the Violet Flame, magnetized from the very Heart of our Father-Mother God the most intensified 5th-Dimensional Solar Violet Flame that Humanity and Mother Earth are capable of withstanding. The Beings of Light breathed this unprecedented frequency of the Violet Flame into the Divine Matrix of our Father-Mother God and it is now flowing in, through, and around every particle of Life on Earth. The Divine Intelligence within this Sacred Fire is patiently awaiting the opportunity to transmute Humanity’s miscreations and every malady existing on Earth back into Light. Our Father-Mother God have assured us that each time we invoke this new 5th-Dimensional Solar frequency of the Violet Flame through our I AM Presence, it will expand exponentially. This will allow us to quickly transmute the negativity that is being pushed to the surface all over the world. 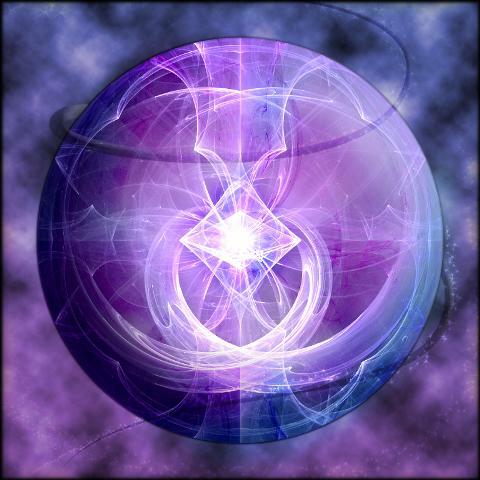 Saint Germain has assured us that this greatly empowered 5th-Dimensional Solar Violet Flame will accelerate the awakening taking place on the planet and catapult Humanity up the Spiral of Evolution into frequencies of harmony and balance beyond anything we have ever experienced. When we invoke the Violet Flame through our I AM Presence, we give permission for this Sacred Fire to enter our lives. The Violet Flame then flows through our Silver Cord into our Crown Chakra, then it descends into the Immortal Victorious Threefold Flame in our heart. When the Violet Fire enters our Heart Flame, it is stamped with our unique, individual electronic Light pattern. After that is accomplished, it awaits direction from our I AM Presence. With that invocation, the 5th-Dimensional Solar Violet Flame immediately goes into action. It blazes forth from our Heart Flame, stamped with our own electronic Light pattern. It travels through the atmosphere of Earth and expands out into the Universe. On its journey, it seeks out and magnetizes to itself every electron of energy vibrating with a frequency of poverty, lack, or limitation that is stamped with the same electronic Light pattern. No matter how dense the frequency of poverty is that cloaks the energy we misqualified during our many lifetimes, there is still a core of purity in every electron that contains its original Divine Potential. This means that within every electron manifesting as poverty there is still, pulsating within its core, the Divine Potential of God’s Infinite Abundance. Within every electron manifesting as hatred there is still the Divine Potential of God’s Infinite Love. Within every electron of war there is still the Divine Potential of Eternal Peace. Within every electron of disease there is still the Divine Potential of Vibrant Health. Once the Violet Flame engulfs the misqualified energy that is stamped with our electronic Light pattern, it penetrates into the core of purity in each electron and activates the Divine Potential that is encoded there. As the Divine Potential of God’s Infinite Abundance is activated within every electron of our poverty consciousness, the atomic and subatomic particles and waves within the electrons begin to spin more rapidly on their axis. The centrifugal force of this acceleration casts the dark frequencies of poverty, lack, and limitation into the Violet Flame. The Violet Fire instantly consumes the frequencies of poverty and transmutes them back into the frequency of God’s Infinite Abundance. When the transmuting process feels complete, we must then ask our I AM Presence to fill the void where the frequencies of poverty existed with the patterns of perfection from our new Planetary Cause of Divine Love and our newly birthed Renaissance of Divine Love. The Violet Flame can transmute anything we want to heal or transform in our individual lives or on the planet. It can transmute back into Light anything that is not reflecting the love, harmony, and balance of Heaven on Earth. All we have to do is invoke the Violet Flame into action through our I AM Presence. Occasionally, people invoke the Violet Flame without seeing the results in the outer world as quickly as they would like to see them. This gives them the erroneous impression that the Violet Flame is not working. That is never the case! The Violet Flame is a gift of Divine Light that works scientifically to the letter each and every time it is invoked by the I AM Presence. The moment you reach a critical mass of the Violet Flame in your Life there will be an unstoppable shift and whatever you are invoking will manifest in your life. The Key is to “Keep on keeping on!” The Violet Flame is infinitely more powerful than the fragmented, fear-based miscreations of your past. Remember, you have the ability to transmute hundreds of lifetimes worth of negativity “in the twinkling of an eye.” Know that the Light of God is ALWAYS Victorious, and YOU are that Light. In order to assist us in connecting with the new and unprecedented frequencies of the 5th-Dimensional Solar Violet Flame, Beloved Saint Germain has given us a tangible image that not only reflects the new Solar frequencies of this 5th-Dimensional Sacred Fire, it pulsates with the energy, vibration, and consciousness of this exquisite Gift from our Father-Mother God. This image was projected from the Realms of Illumined Truth and magnetized into the physical plane by a dear Lightworker named Dominique Claire Germain who brought it into physical manifestation while working with a wonderful graphic artist in France. We have made this powerful image of the 5th-Dimensional Solar Violet Flame available in a 11 inch by 15 and 1/4th inch poster, so you can physically experience the radiance of this Gift from On High. The 5th-Dimensional Solar Violet Flame is now available to help Humanity transmute the painful things that are surfacing in our lives to be healed and transmuted into Light. By focusing on this powerful image when we invoke the Violet Flame, it will help us to tangibly experience the Celestial power of this Gift from our Father-Mother God. By hanging this image in our homes and places of work our environment will be blessed with the radiance of the Violet Flame, and we will be reminded throughout the day that we are the Open Door for this Gift from our Father-Mother God. This will help us to quickly transmute the surfacing negativity which will allow all of us to move forward in the Light at warp speed. You may also order it by mailing or faxing in the order form at the bottom of this article..